Yesterday J and I had an errand to run in Jamaica Plain, so we took a leisurely stroll around Jamaica Pond, one of the jewels in Boston’s Emerald Necklace. The Emerald Necklace is a string of parks designed by famed landscape architect Frederick Law Olmsted, and although J and I have spent a lot of time exploring the Necklace’s easternmost jewels, I’d only been to Jamaica Pond once and J had never been there at all. We were, in other words, long overdue for a visit. On Friday night, J and I had watched a PBS documentary about Olmsted’s work designing parks all over America. The documentary was an hour long, but we thought it should have been twice as long, given Olmsted’s incredible body of work. New York’s Central Park was the first landscape Olmsted designed, working in partnership with Calvert Vaux, and that project alone would have been enough to make most designers’ career. But the green gem Olmsted and Vaux set at the heart of Manhattan proved to be so popular, a long list of other cities hired Olmsted to design similar landscapes, including Brooklyn’s Prospect Park, a system of parks in Buffalo, the Niagara Reservation in New York, the Biltmore Estate in North Carolina, the Chicago World’s Fair, and the grounds of the U.S. Capitol. Olmsted began work on Boston’s Emerald Necklace relatively late in his career, after he’d established a home and landscape architectural firm in Brookline, Massachusetts. 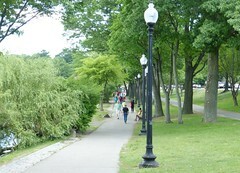 The goal of the Emerald Necklace was to connect Boston’s existing Common and Public Garden with the sprawling woods of Franklin Park, and it involved transforming the Muddy River, a sluggish stream wending from Jamaica Pond through the saltmarsh of the Back Bay Fens, into a scenic waterway bordered by wooded trails. 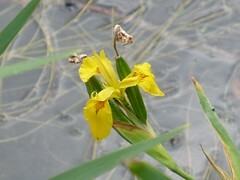 Whereas Olmsted completely transformed the Back Bay Fens from a stagnant backwater to a scenic lagoon, he did relatively little to re-engineer Jamaica Pond. A glacial kettle hole that once supplied both drinking water and ice to local residents, Jamaica Pond didn’t need the sanitary improvements that the Back Bay Fens required. 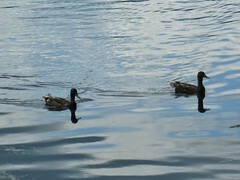 Instead, Olmsted’s engineering at Jamaica Pond primarily involved the planting of trees and the placing of paths. 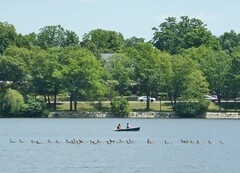 Today, a paved pedestrian pathway surrounds the pond, which attracts a steady stream of locals looking to walk, fish, row, or simply relax in the sun. When you stroll through Central Park, you’re interacting with an entirely manmade landscape: before Olmsted and Vaux got their hands on it, Central Park was a featureless wasteland filled with shanties and pigsties. Central Park’s underlying terrain—its hills, stone outcrops, and waterways—were all designed and then assembled from the ground up to provide an intentionally picturesque backdrop for soothing strolls. When you look at Central Park, you’re not looking at a natural landscape as much as a landscape painting: a picturesque scene, that is, that was intentionally composed. Jamaica Pond, on the other hand, is a natural jewel, but even the most precious gem looks better in a well-designed setting. 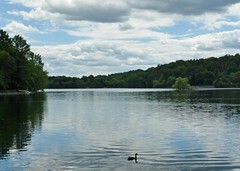 More than a century’s worth of fishermen, dog-walkers, joggers, baby-strollers, and sun bathers have flocked to Jamaica Pond, but the pond and its environs still look natural and even pristine. As J and I walked, I marveled at how simultaneously well-used and tranquil the park seemed. On our entire circuit of the pond, J and I were never out of immediate earshot of other park-goers, and for most of the way we could hear and even see passing traffic on nearby roads. But despite these omnipresent reminders we were in a popular and even bustling park, the pond and paths felt quiet and serene, as if we were further away from civilization than we actually were. A well-designed park doesn’t shy from aesthetic deception, and visitors to an urban park are happy to be deceived. About halfway around the pond, J noted that all the people we encountered automatically observed the cornerstone of urban protocol, quietly smiling or gently nodding at passersby but otherwise giving them no notice, allowing strangers the privacy of their own personal escapes. 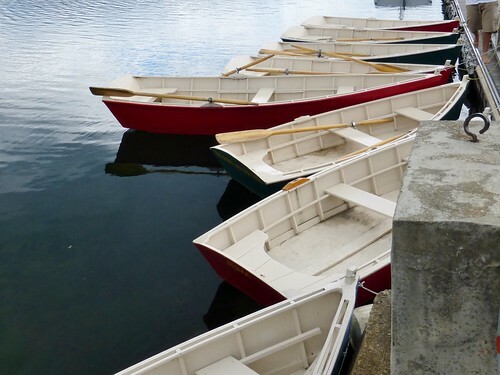 Whether you’re on a bike, on foot, in a boat, or on a bench, you won’t be alone at Jamaica Pond, but you’ll feel like you’ve gotten away. The park’s that way by design. I lived in Buffalo for years and enjoyed the Olmsted/Vaux parks there–they really were geniuses. 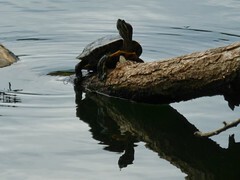 I’ll check out Jamaica Pond when I’m in Boston again!